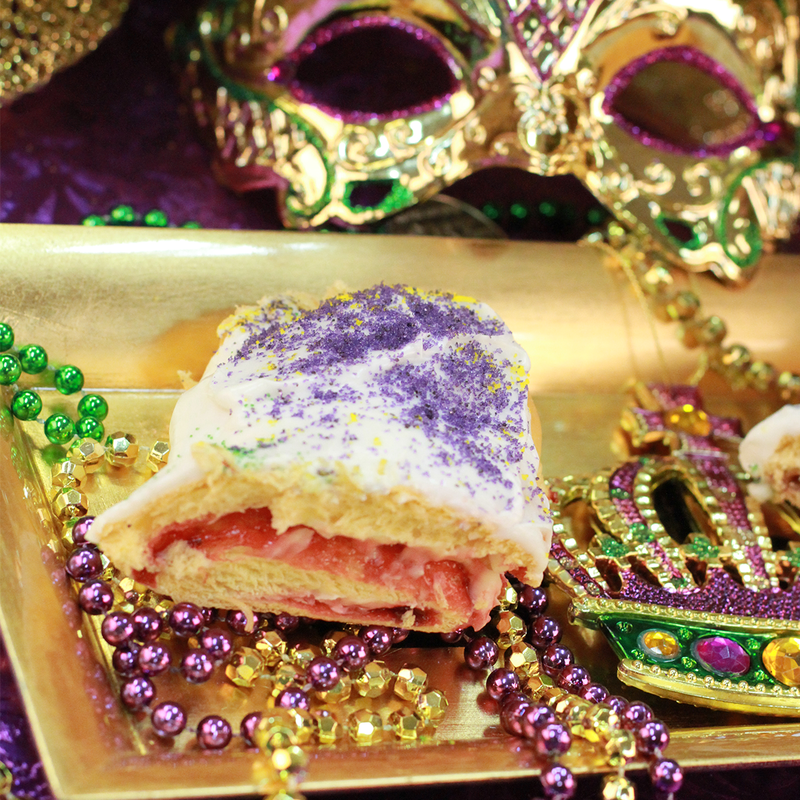 This Mardi Gras treat is filled with cinnamon and fresh pecan pieces then it is hand-braided and baked to perfection. 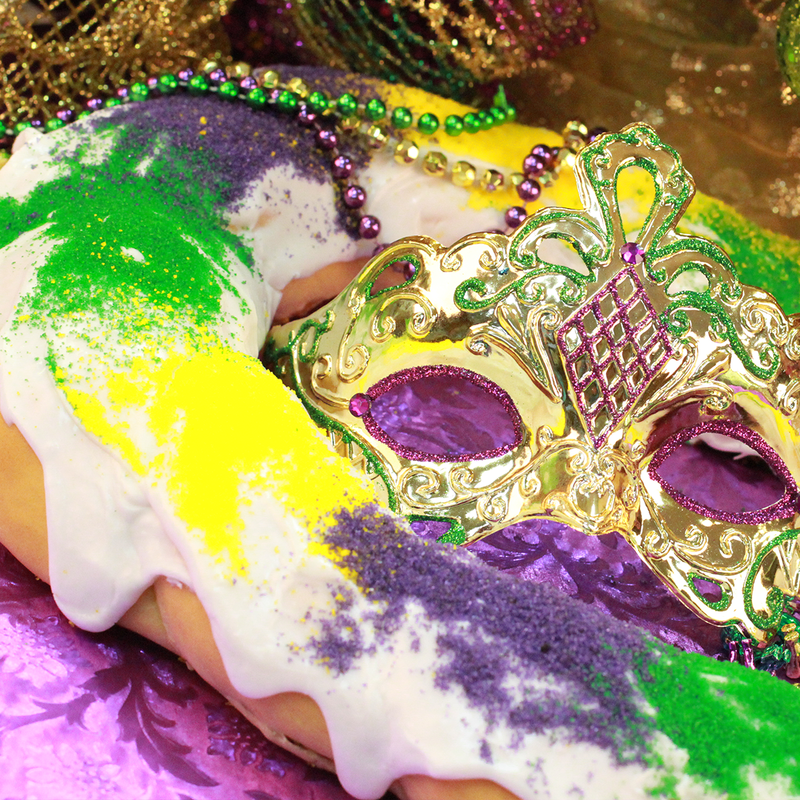 Your King Cake will arrive with the King Cake story, Mardi Gras beads, doubloons and a porcelain mask so you can celebrate Carnival time with your friends and family. 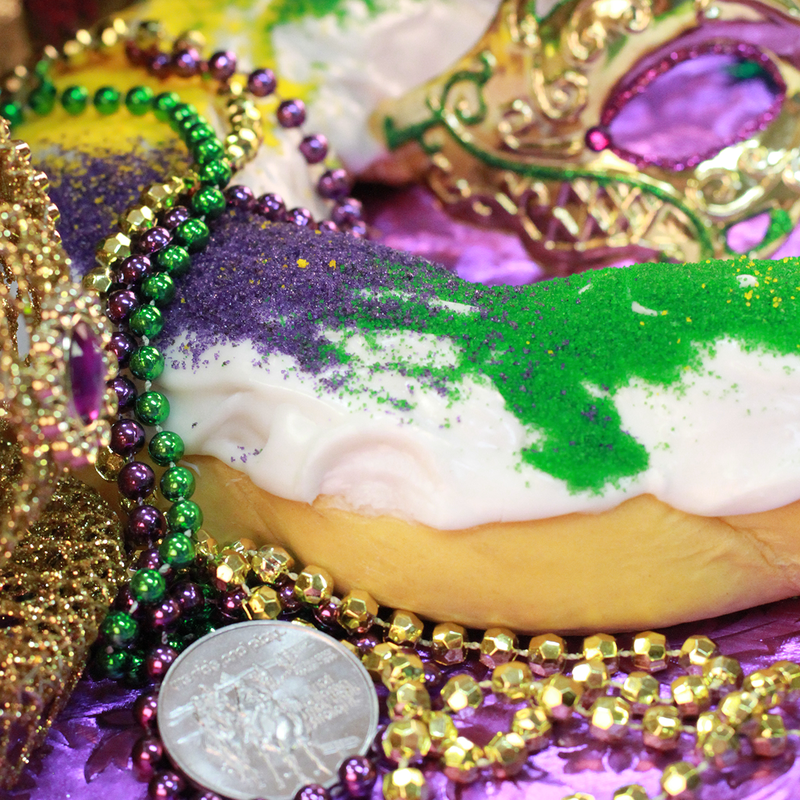 Before you order, be sure to read our Frequently Asked Questions. 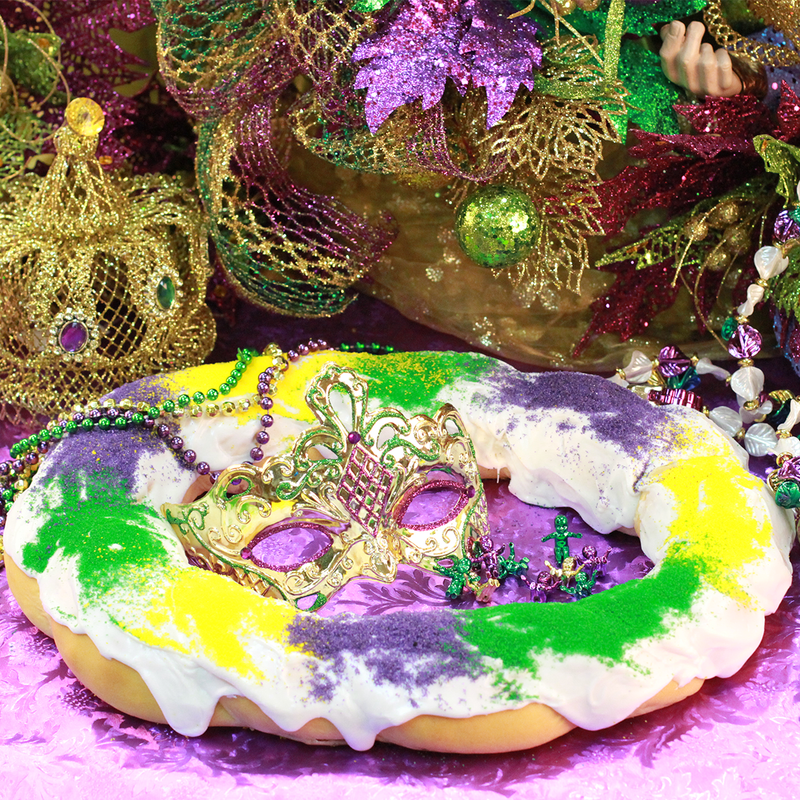 King Cakes will be available from January 6 – February 25, 2020.